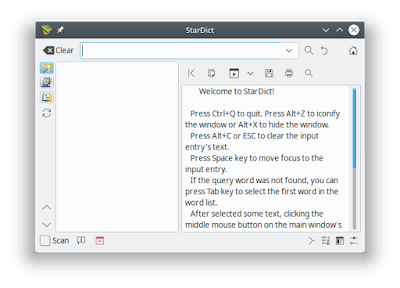 This tutorial explains how to install StarDict dictionary program on Ubuntu 18.04 and to add language dictionary files to it. For example, you can have your own English-to-Indonesia and Indonesia-to-English, with Stardict. You can add many more language dictionaries from the internet and I mention in the end the links to download them. Happy learning, enjoy StarDict! Read also Ubuntu 18.04 Review, how to install it, and recommendations after installing. I give you examples of English-Indonesia and Indonesia-English dictionaries. 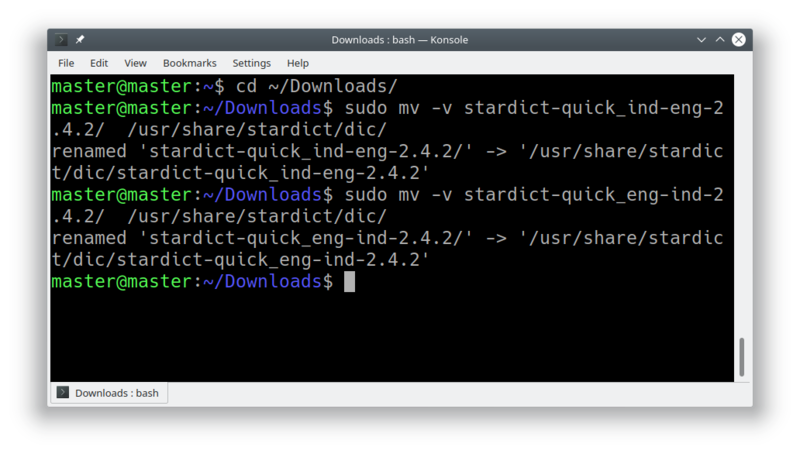 You download the files, then put them in special folder of Stardict, and finally Stardict reads you those dictionaries. Same goes for another language dictionaries. Download both here: http://download.huzheng.org/Quick (great thanks to Huzheng!). Then extract them to your ~/Downloads/ folder. The result is you have two folders now with each folder contains .idx, .ifo, and .dict.dz files. Then run Stardict and try to query an English or Indonesia word in it. 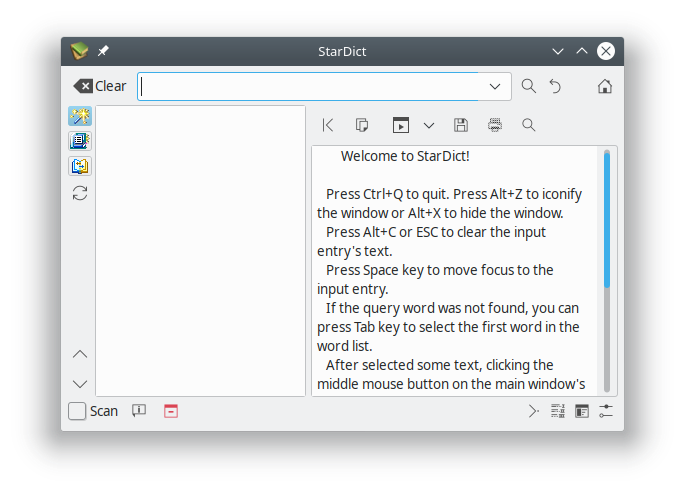 Then, try to select with your cursor any word on your browser and let Stardict shows the meaning to you. Pretty cool, right? 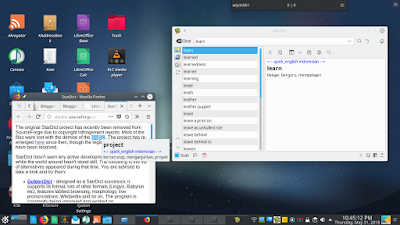 Finally, you can install any other language you wish if you have the dictionary files. See below to download them. This list contains websites where you can download many language dictionaries and other dictionaries at no cost (gratis). Great thanks to the authors of these sites like Huzheng again, tuxor1337, and all. If you have server space, please help mirror these important sites.